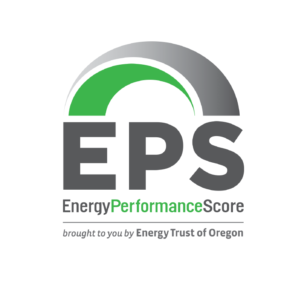 EPS gives consumers an easy way to shop for energy efficient homes in much the same way that EPA fuel economy testing helps consumers compare cars and trucks. Energy consumption is now clearly and consistently presented. Of course, energy efficiency is just one of many factors to consider when purchasing a home. Because lower scores are better, it takes time for some consumers to absorb the idea. It’s more like a golf score than a basketball score. Energy savings pays for the energy improvements. This can only be seen when energy costs are included in the mindset of consumers and real estate brokers. Most people understand the acronym PITI, which stands for principal, interest, taxes and insurance. Energy should be added to the idea: PITI+E. Monthly utilities (energy and water) are just as certain as the other four, and they are just as certain to increase over time. Ignoring energy costs in the monthly equation is failing to serve the best interest of consumers. EPS matters because it give everyone an easy way to put monthly energy use back into the equation. Knowing the EPA fuel economy rating of vehicles hasn’t meant an end to large trucks or SUVs. It just means that the people choosing them know what they are buying.